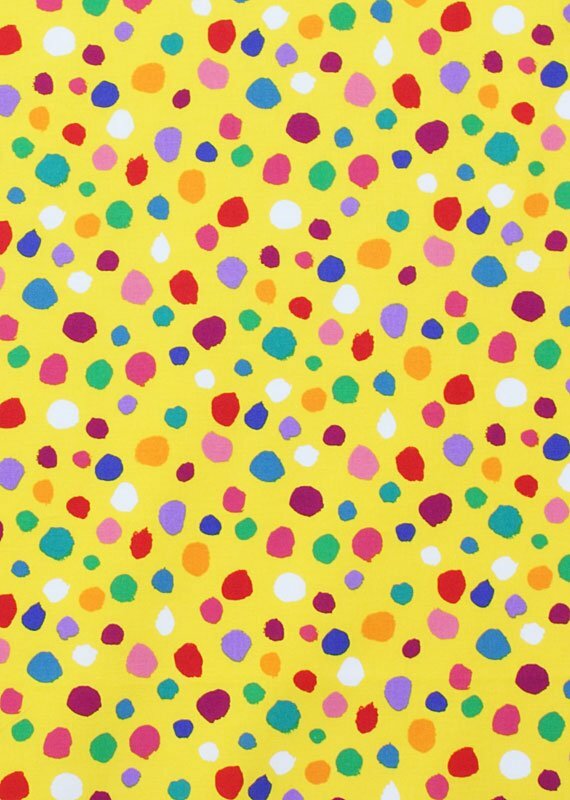 Bright dots on bright yellow background. 42/43" Wide 100% Cotton. Machine Wash/Tumble Dry. Price is per yard.